是跟第五大道齐名的尼曼官网，Neiman Marcus(尼曼公司)是美国以经营奢侈品为主的连锁高端百货商店，是当今世界最高档、最独特的时尚商品零售商。有100多年的历史。曼尼百货在美国各地都有实体大型的百货商店。 Neiman Marcus 拥有国际一线设计师品牌，是当今世界上最高档、最独特时尚商品的零售商。同第五大道一样，国际一线的大牌都可以在这里找到，而且也设有特卖区，商品折扣达3.5折. Today only, Neiman Marcus takes up to 40% off a selection of Michael Kors women’s shoes and handbags, with deals starting from $30.75. (Prices are as marked.) Plus, all orders with free shipping. Today only, NeimanMarcus.com $50 off your $100 purchase when you pay with Visa Checkout – no code needed as the discount will automatically be applied. Keep in mind that Visa Checkout actually allows you to pay with a Visa, Mastercard, Discover card or any major credit or debit card. Shipping is FREE on every purchase. Today only, KateSpade.com is offering up this Cedar Street Medium Harmony Bag, Cedar Street Maise Handbag and Cedar Street Small Hayden Handbag for just $149 (reg. $298) when you use the code PINKLIGHT at checkout. 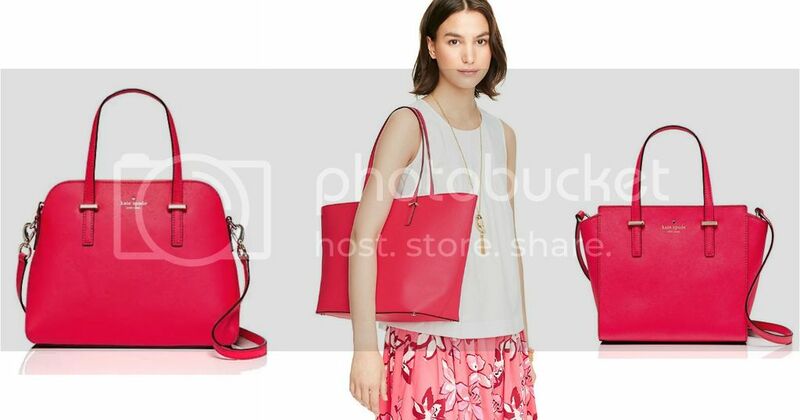 Please note, all three of these handbags are available in Watermelon color only. Even sweeter, shipping is free.